Though most of my “natural beauty buff” features have centered around skincare line creators, there’s always those pioneers within the broader green beauty industry whom I admire and must reach know more about. Rachael Pontillo is one of those people. How could you not want to know what a health coach / aesthetician / Reiki practitioner / trained-in-Ayurveda beauty expert uses on her own skin? 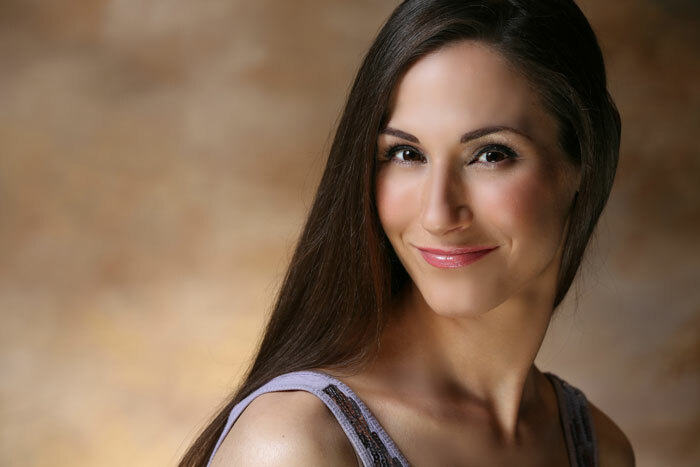 The brains and beauty behind Holistically Haute and author of Love Your Skin, Love Yourself, Rachael’s glowing skin, robust online community and girlfriend-to-girlfriend style book got my attention. Rachael’s created Holistically Haute after experiencing her own struggle with acne and self-esteem issues, which rings all too true for me and I’m going to assume, you, dear readers. Most of us end up in the green beauty space after frustrating runs with over-the-counter, prescription and every other harsh medicine our skin can handle. It’s inspiring to see more people carve out these spaces online so that perhaps someone may look to the green beauty space first instead of as a last resort to solve their skincare problems! If you haven’t already become friendly with Rachael online, check her out and get to know her even better via her book. I felt like I was having a conversation with a best friend while reading her book! 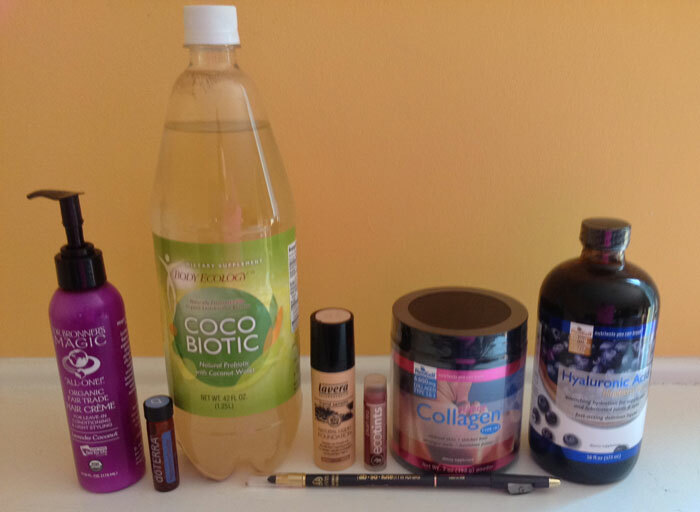 As always, I’ve starred the products I also use and love! I love this eyeliner pencil for several reasons. First, it’s one of the cleanest natural formulations of eyeliner I’ve come across — all natural waxes, oils, and mineral pigments — no parabens (hard to find in an eyeliner! ), coal tar dyes or lead. It goes on smooth and stays on all day without fading or smudging — and the most fun part is that there is a sharpener built right into the cap! This is convenient and ensures a sharp point with every use. I keep it in my makeup case at home. I’m normally a mineral powder foundation girl all year round, but this liquid made me switch during colder, drier weather and on days when I’m going for a dewy look. It applies and blends effortlessly, doesn’t get stuck in fine lines, doesn’t create lines of demarcation and doesn’t oxidize or get greasy or streaky throughout the day. The pump lasts long too — a little bit of this foundation goes a long way! I love that it contains all-natural and many certified organic ingredients, and no synthetic preservatives or fragrances too. I keep this in my makeup case too. I’m obsessed with these. They are all natural, top quality and very potent. Peppermint essential oil is great for uplifting the mood, increasing energy (better than coffee) and also freshens the breath. I carry these in my purse every day — no more need for gum or mints. I absolutely love these super-moisturizing tinted lip balms! They come in great colors, are made with 90 percent organic ingredients, are gluten-free (I try to avoid gluten) and provide great color and moisture that looks natural, but still polished. They smell and taste great too, and are flavored with all natural essential oils and plant extracts. I like to keep a couple different shades of these in my purse every day. This is a great haircare product for adults and also kids, since it’s certified organic and fair trade, contains nothing artificial, and goes a very long way. A pea-sized drop is all I need to detangle my long, straight hair and my kids’ long wavy hair after a wash, and it also helps with light styling. It doesn’t give a greasy or heavy feel — it leaves hair shiny, soft, and tangle-free. I keep this in the bathroom cabinet. Probiotics are essential for beautiful, healthy skin and a healthy body, and I love this one for a few reasons. First, it’s a whole foods-based fermented beverage that contains nothing artificial whatsoever. It contains live cultures that have been tested for compatibility with each other as well as with the human digestive tract — believe it or not that isn’t the case with a lot of the probiotics on the market. I also like that you can adjust the dosage. One dose is a one-ounce shot, but you can add more on days you feel you need more digestive or immune support, or you can half the dose for kids, which is what I do. It’s an acquired taste, like many fermented foods are, but the benefits are so worth it. I keep this in my fridge and have one shot in the morning and one before bed. My kids have one before dinner. I listed these together because I take them together every day. Collagen and hyaluronic acid are excellent for building and hydrating healthy skin cells (in addition to others) from the inside out. I love NeoCell’s because they source their ingredients from organic, grass-fed animals with ethical manufacturing practices. I’ve noticed a significant improvement in the appearance and health of my hair, skin, nails and also an improvement in the health of my joints and eyes since using these products. I keep them in my kitchen, and drink them together in my morning cup of hot water with lemon.